Stroke experts of the European Stroke Conference ESC attend the European Society of Cardiology ESC Congress in Barcelona – an interdisciplinary discussion that patients benefit from Berlin/ Barcelona. The interdisciplinary cooperation between cardiologists and stroke experts has a long standing tradition since active management of heart and brain attacks was established in the last century. 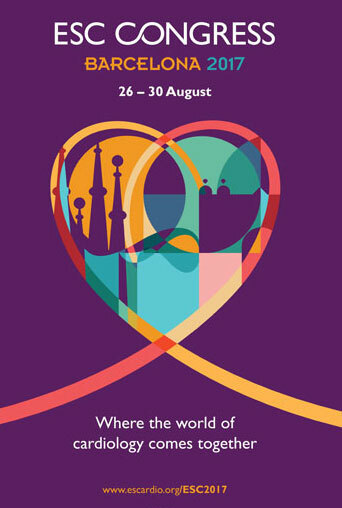 Apart from the identical abbreviations ESC, the European Society of Cardiology Congresses and the European Stroke Conferences have joined since more than ten years to organize mutual symposia during their annual meetings to increase the awareness and underline the importance for cooperation in the management of patients suffering from cardiovascular diseases affecting both the heart and the brain. This is particularly true in times of increasingly aging populations with comorbidities of vascular diseases. The animated discussion among cardiologists and experts from the fields of neurology, internal medicine, vascular surgery and neurosurgery, interventional and intensive care medicine as well as prevention and rehabilitation has been focused in recent programs at the joint symposia annually organized. The last one in the series of the European Stroke Conference in Berlin in May 2017 will be followed at the European Society of Cardiology Congress in Barcelona in August 2017. The symposium, which is going to be chaired by Michael C. Hennerici (Mannheim, Germany) and J. Gyllenborg (Roskilde, Denmark), takes place on August 27 from 11 am till 12.30 pm under the topic “Diagnosis and management of stroke in specific patient subsets”. Two neurologists ( M. C. Hennerici and J. Bogousslavsky, Montreux, Switzerland) will talk about “Cognitive impairment in patients with atrial fibrillation” and “Behavior and mood changes after cardio-embolic stroke” both being directly related to the latest findings concerning the important topic of degenerative, amyloid related diseases in heart and brain associated with dementia and atrial fibrillation. These topics were presented at the annual meeting in Berlin already. The talk “Management of stroke occurring as complication of cardiovascular intervention” by Peter Lanzer (Bitterfeld, Germany) is going to show that stroke management is also related to cardiology since a stroke can be a complication occurring during cardiovascular interventions. Alexandra J. Lanksy (New Haven, USA) will raise the important question about best standards and design for large clinical trials conducted by the two medical fields in her presentation: “Standardised neurologic end-points in clinical trials: Neuro ARC”. The cardio-cerebrovascular cooperation will continue in 2018 . Cardiologists are cordially invited to present their recent research and their latest findings at the forthcoming joint symposium during the 27th “European Stroke Conference” in Athens from April 11-13, 2018, when internationally renowned scientists and specialists from all of the fields related to stroke medicine are going to meet for Europe´s largest and most scientific international stroke meeting. 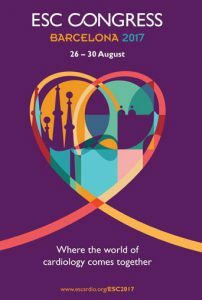 You can find up-to-date information on the European Society of Cardiology Congress 2017 at www.escardio.org. 27. ESC 2018 : a vision becomes reality!